Quality Crystals at a Low Price ! Crystals for Healing, Karma work and meditiation! Excellent source of balance to the keeper of the crystal! 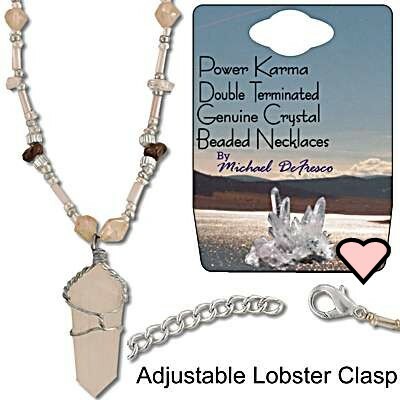 Power Karma Crystals:crystals hold measurable electromagnetic power or piezoelectric properties which can intensify the human electromagnetic fields, or auras,, aiding in clairifying thoughts, channeling energy and healing. 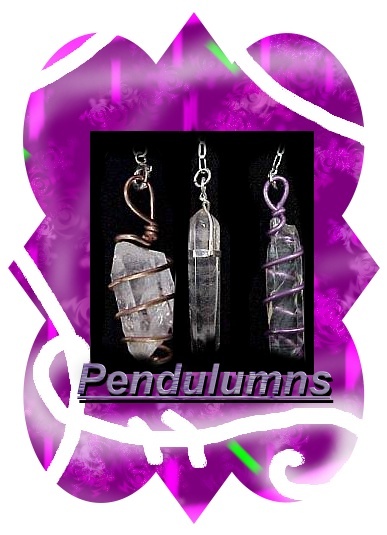 You can dedicate crystals generally, to support you to achieve a specific outcome or goal,or adapt them for a particular individual; ensoul them as a definite centre of radiation; or they may be linked with the practicioner as an outpost of his consciousness. Dedicating crystals requires you to concentrate your thoughts into the crystal so that its energy is directed along with your own to achieve your goals. Before dedicating a crystal, it should first be "cleansed". White Light Protection Candle with a quartz crystal is a warming gift to anyone who feels they need protection or security.This duo is great to amplify prayers or to just ward off negative energies.Comes with protection & cleansing prayer! An exceptional value! This charming necklace is powerful,yet simple! A must have when doing spiritual work! 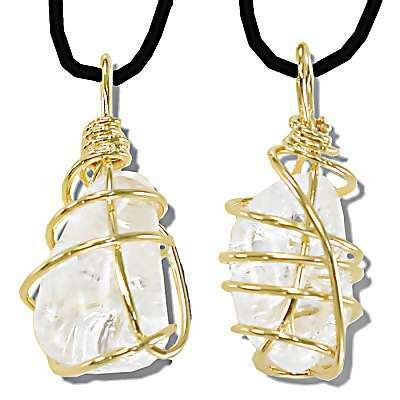 Let the power of quartz amplify your gifts and bring balance to your life! Crytals are Earth Energy ! The earth itself is a tremendous source of energy. Magnets, gemstones, and crystals carry the earth's energy, which has many applications in conventional as well as spirit healing. And of course, earth energy supports all other energy on the earth plane. helps us to express our views in a peaceful and loving manor. It is the mirror of the soul, representing our uniqueness and our journey towards clarity: an excellent stone for meditation. 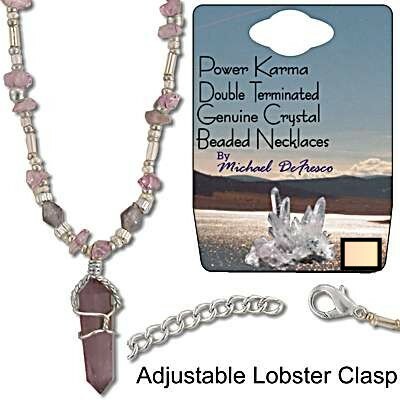 In combination with other stones , enhances their energy. Stores, amplifies, transforms and focuses energy. helps one to manifest personal power, strengthens will, aids us in processing life's experiences and discarding that which is only hindering progress. 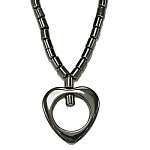 is a metal stone which helps to release persistent and unwanted patterns of thought, particularly helpful with anxiety and worry. helps us to seperate our emotions from those of others. A grounding stone that helps with self-esteem. 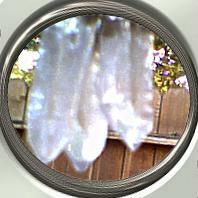 Breaks through psychic blockages to reveal inner truth. teaches us to love ourselves, thus opening us up to universal love; heals emotional wounds and gives comfort. Also, is used to overcome grief. this stone teaches us patience, focus, and concentration; helps us to develop the will to materialize our dreams. 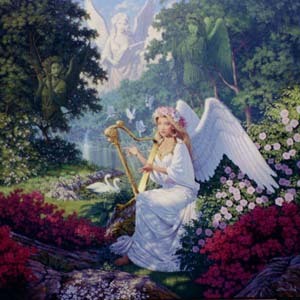 makes our desires clear to us, and assists us in expressing them to others who may be able to help us materialize them. These crystals have points at both ends. Much rarer than single point crystals, these double pointed stones project energy from both ends creating a unified energy field.They are excellent for meditative and healing energy empowerment. These Crystals have points at one end. 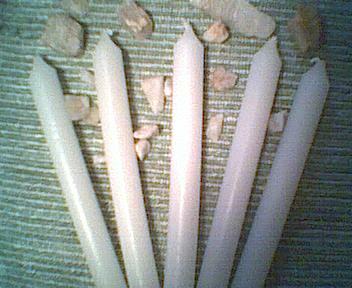 To dedicate or "program" your crystal, hold the crystal in your right hand and place the right hand in the left hand. Gaze beyong the crystal's surface into the matrix of the crystal. Concentrate on visualizing your goal/need and imagine it projected into the crystalline lattice. Speak aloud your goal into the crystal. For seven days and seven nights, keep the crystal on your person at all times; reinforcing your objective at each opportunity that the thought arises. Each night meditate upon your goal with the crystal in your right hand under the light of the moon for several minutes. Speak the goal into the crystal a total of 108 times each day. It is important when dedicating your crystal to include all details, including by what date, how much you want and location etc. 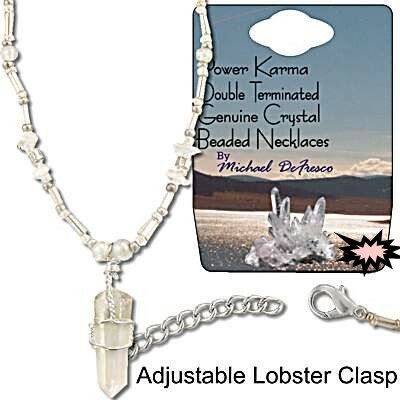 Be very careful to choose something which will be beneficial to your own or someone else's evolutionary/spiritual development otherwise the crystal may amplify a negative message if you choose something out of greed alone. 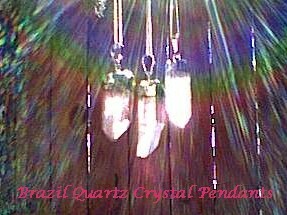 When the programming is complete, the crystal is worn on the body or kept in a silk bag of corresponding colour close by.